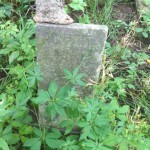 This entry was posted in Genealogy, Nelson Family and tagged ancestry, family, genealogy, Indiana, Pittsboro by amanita. Bookmark the permalink. I love it! So glad you went for an adventure. 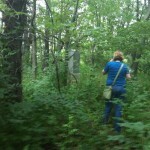 Once uponatime I was supposed to write a story for StarEast about all the abandoned pioneer cemeteries around Indiana…. but alas, I got sidetracked and I think someone else wrote the story. Super interesting though! Next time post pictures of your injuries. I like this blog so much I think I will put a link to it on mine. You are cool. omg, really? I would have totally researched that with you. They seem to be everywhere and they’re really interesting. It’s weird when you go to Europe and all those old headstones that seem so old to us are like peanuts compared to the ones over there, right? Please keep in mind as you read this post, I have nothing against Pittsboro. It’s a delightful place. It’s just far. That makes me sad. I’ve gotten lazy.